With the World Cup well on its way in Russia, football fans around the world are gearing up to see their favourite teams reach the championship. Part of the enjoyment of watching the games is to place bets on specific odds. 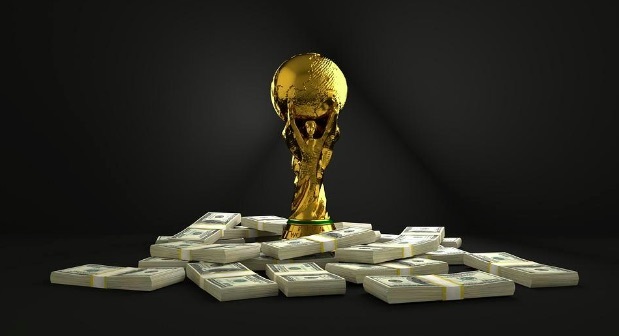 For someone who is new to the world of sports betting, how does betting on the World Cup work? Experts in the field of sports betting advise that there are two common ways to bet on the winner of a World Cup game. First, you can choose a handicap bet. This works in the same way a spread bet would in basketball or American football. A concrete example would be: If you bet on England+1, you can expect to have three possible results. If England wins, then you win your bet. If England loses by one goal, it ties your wager and the money is paid back to you. Lastly, if England loses by more than one goal, then you will also lose your bet. The other popular way of betting on a World Cup match is through a moneyline. In this type of betting, you will choose from three outcomes: either the team you are betting on will win, lose, or draw. The moneyline placed on the bet is a determining factor on the odds that will be paid out on the winning wager. Bet365 is considered to offer some of the best value offers in the world of online sports betting. They have the famous “Bore Draw Money Back” which provides a cover for the inevitable boring games that lead to 0-0 draw results. Your wager will get refunded in the event that the game you bet on ends up in a full-time or half-time draw. Welcome bonus offers by many sports betting sites are quite generous. Betway for example, groups its welcome bonus by region in the same way that the World Cup does. Those who sign-up to bet on Bovada get a bonus offer of $250 to kick-start their World Cup betting. Betting on a soccer-centric site like Betway also has its advantages along with the welcome bonus they offer. Since the site is the official betting partner of the English Premier League, users on the site will have access to all possible wager spreads in the World Cup. With more wager options, users have higher odds of winning. Interops is another betting site that offers a generous welcome bonus. With their Rookie50 bonus promo, users of the site can get a 50% matchup for up to $200. There are many other sites that offer big bonuses upon sign-up aside from those mentioned above. If you want to make the most of your online betting experience, take time to review and compare offers before you put your money down.